My love for Purl Bee is no secret, and I often head over to their beautiful website for inspiration. One thing that I do not love, however, is getting my picture taken. As a child, I was the one running away as soon as someone pulled out a camera. I treated family portraits as torture, on the same scale of being forced to eat my least favourite foods. Thinking back, I was pretty lucky that no one carried cellphones with fancy cameras back then. There were usually warning signs to the picture snagging attempts, and I was pretty quick on my feet. I still strongly dislike getting my picture taken, preferring to quietly stand behind the lens. Unfortunately for me, it's quite a challenge to show nice garments or accessories without wearing them. When I look for inspiration, I search for colours, styles, cuts, and I truly love to see the sweater, scarf or hat that I'm planning on making being worn before I dive into the project. So I usually figure I should return the favour. Since Noodle is a terrible assistant and prefers to lay down next to my work rather than help out, I often (maybe too often) head over to my best friend's house, after a little warning along the lines of "Would you mind taking a few pictures for me today? ", and show up with a large purse filled with my latest projects. Then, thanking her for her patience, I stand awkwardly, overly self-conscious of my attempts at a natural smile. I later sit down by myself, and go through the many pictures kindly taken for me, with some variations of these comments inevitably going through my head: "How did no one ever tell me that I make these ridiculous, embarrassing facial expressions? 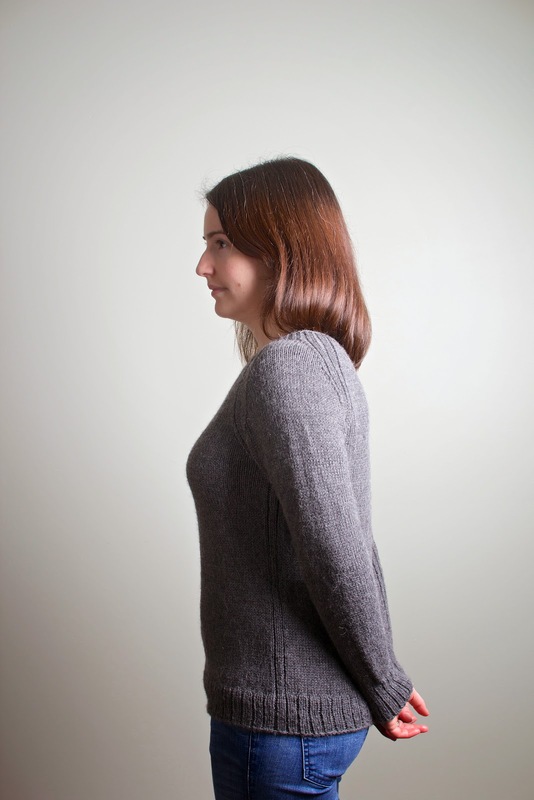 How can my posture be so bad? How come my brown hair looks red in this? Someone should have told me these clothes look stupid on me." I'll torture myself a little and try to crop the pictures to get my head out before choosing a few that I can live with. I'm not too sure why I have to be so critical, and hopefully I'll get over it. For now though, it remains a struggle. 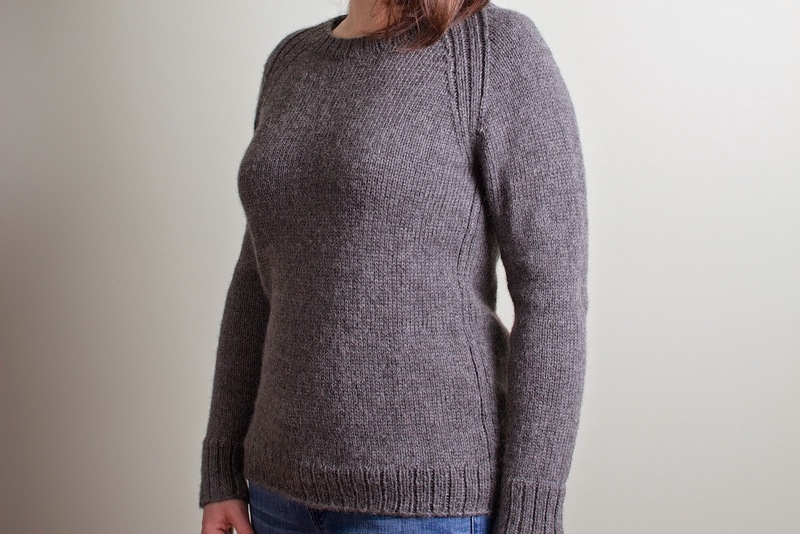 What I can't get over, on the other hand, is how much I love this Sweatshirt sweater, from Laura at Purl Bee. But first let's talk about the yarn I picked. Last year while we were in Peru (remember this first, second and third travel post?) 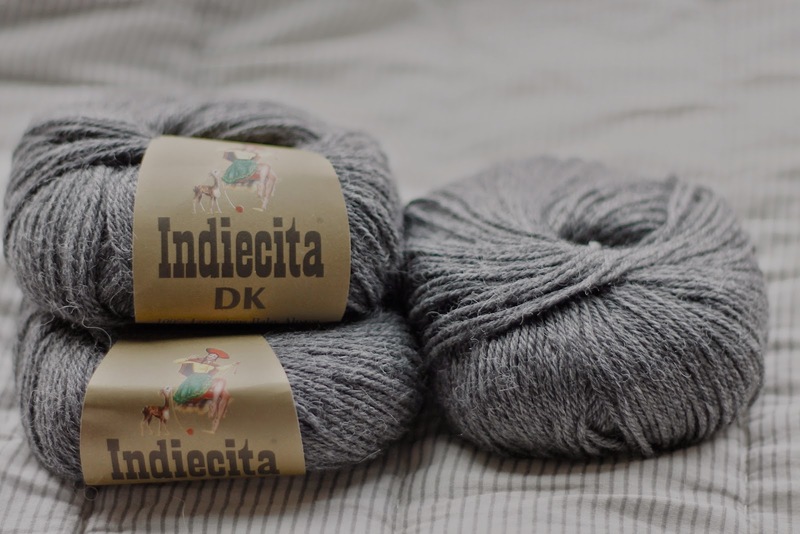 I bought a kilo of baby alpaca yarn, the Indiecita DK, which I dragged around in my dirty backpack for a few weeks. I came home and couldn't really decide what to make, so it sat on a shelf for a few months. Turns out, the yarn was incredibly pleasant to knit with. 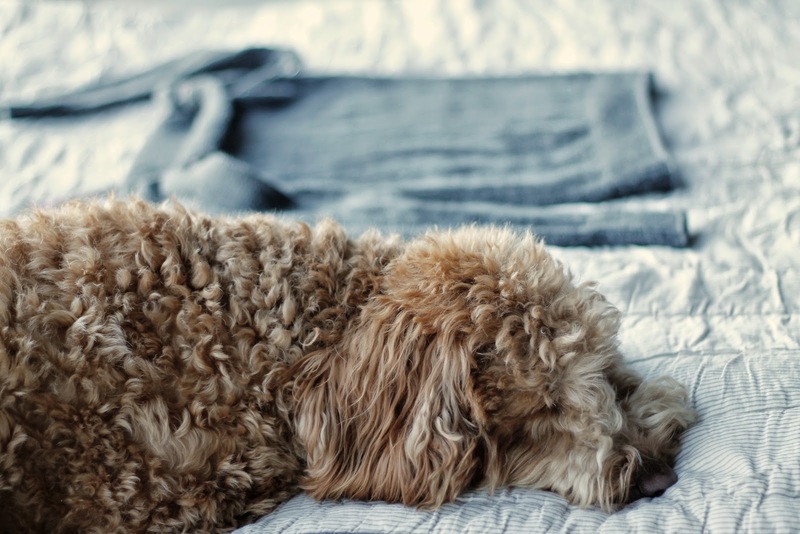 It is super soft, and gave me a light, comfortable and very warm sweater. It kept its size pretty well after blocking, and sheds a little bit but has not pilled so far, and has been worn a lot. The stitch definition isn't super precise, which I think worked out well for this pattern. The best thing is, I have a few skeins left over, even after making the sweater and a hat, and I can't wait to knit with it again. I'm thinking probably a nice shawl, hopefully ready for next fall, to cozy up at home. 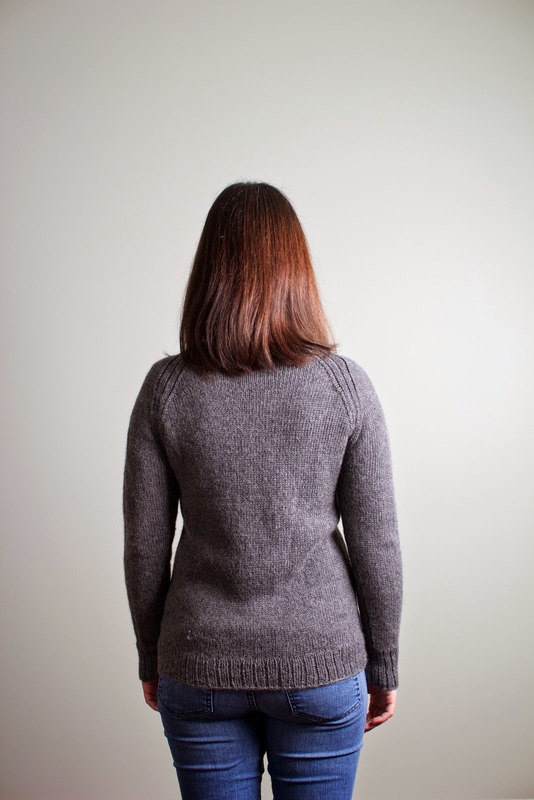 After making this cardigan, I was excited to make another sweater, and really wanted to try one that was knitted in the round, because honestly, seaming is my least favourite part. 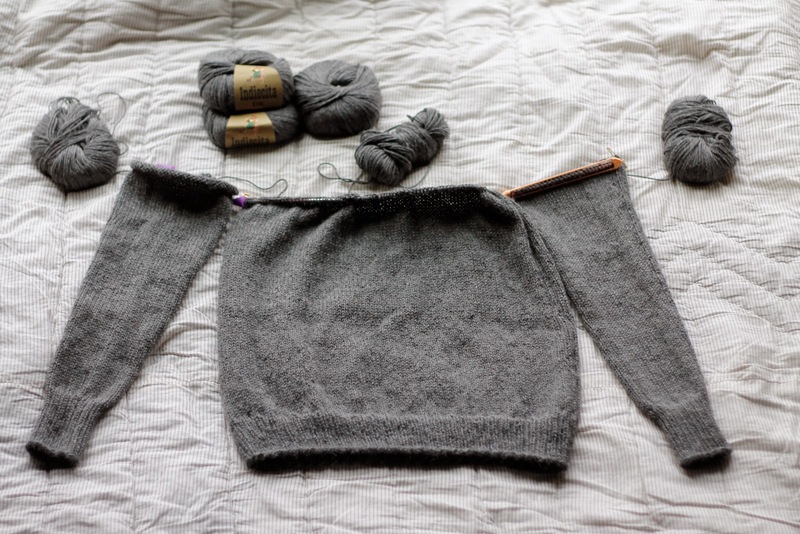 I went back to this post from Karen Templer over on Fringe Association, and thoroughly enjoyed her very informative explanations on sweater constructions, including the pros and cons of various design categories. It's where I was reminded of the Sweatshirt sweater, which I decided to knit without the kangaroo pocket, for a simpler look. I cannot recommend this pattern enough. It is well written, simple, and this sweater has been, short of my flannel pyjama pants, my most worn item this past winter. I'm in love.